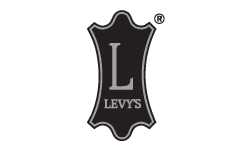 The Levi's PM32 is a 2 1/2 inch garment leather guitar strap with foam padding and garment leather backing. This strap is adjustable from 37″ to 51″. Available until 11 PM (EST) today. Mention special code 20X-YPF0 when you call.